When people hear the word millennium, the first thing they think of is a thousand. The last thing they would expect is a milestone for volleyball. 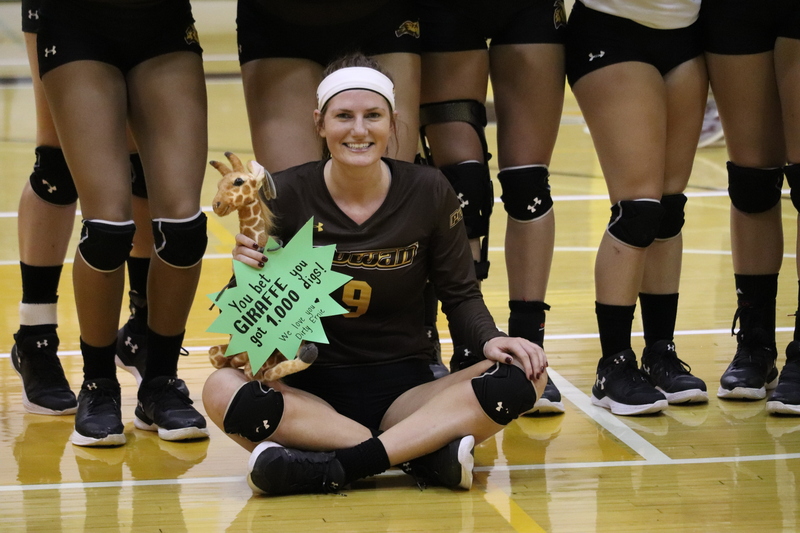 Senior outside hitter Erin Keegan received her 1000th collegiate hit as a Prof today in a match against Eastern University in part of the Rowan Quad matches that spanned over the weekend. The milestone came when Eastern played a free-ball over the net, right in Erin’s direction. She was able to easily set the ball to her teammate who later finished the point. As soon as she got the dig, her teammates on the sidelines held up signs spelling out “1,000 DIGS”. Her fellow teammates and coaches were able to keep this a secret and surprised her. It wasn’t even a thought in her mind that she was nearing such a milestone. 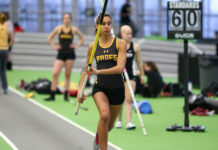 Erin has been a four year player here at Rowan, under the wing of head coach Deana Jespersen since she started here. For both of them, it was a very special day. 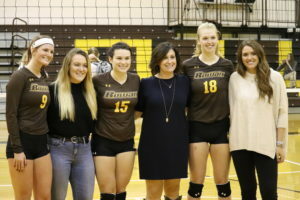 “It meant a lot to me, one because I remember when Erin committed to coming to Rowan,” Jespersen said. Keegan was a part of the first recruit class that Jespersen had here as the head coach for the Profs. 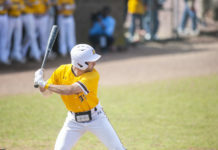 “I remember walking Erin around campus and getting all the way in front of Esby and her like stepping off the curb and looking at me going, ‘so how do I commit?’,” Jespersen said about Keegan, who was ready to play from the minute she visited campus. Jespersen has been more than proud of Keegan as she has watched her evolve, both as a player and a person. Throughout her four years, Keegan improved immensely. Her freshman year, she recorded only 82 digs, her sophomore 194 and her junior year 377. Now, during her senior campaign and final year playing for the team, she is at 348 after the match against Eastern. With nine games left to play after this weekend, Keegan is on pace for a record year for herself. Rowan wraps up the quad meet today against the University of Scranton. After that, the team will prepare for an NJAC matchup against Rutgers-Camden on the road as the season begins to come to an end. Next articleKane: What’s wrong with the Eagles?